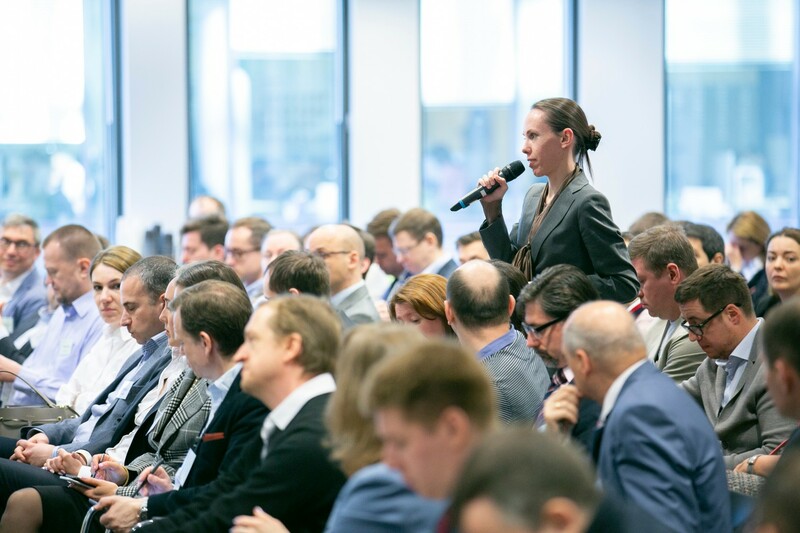 On April 24, CFA Association Russia held its largest event in 2018, and focused on the structure and business of family offices. The meeting was held as a business breakfast in partnership with PwC, and caused quite a buzz among the Moscow financial community, gathering around 150 guests. 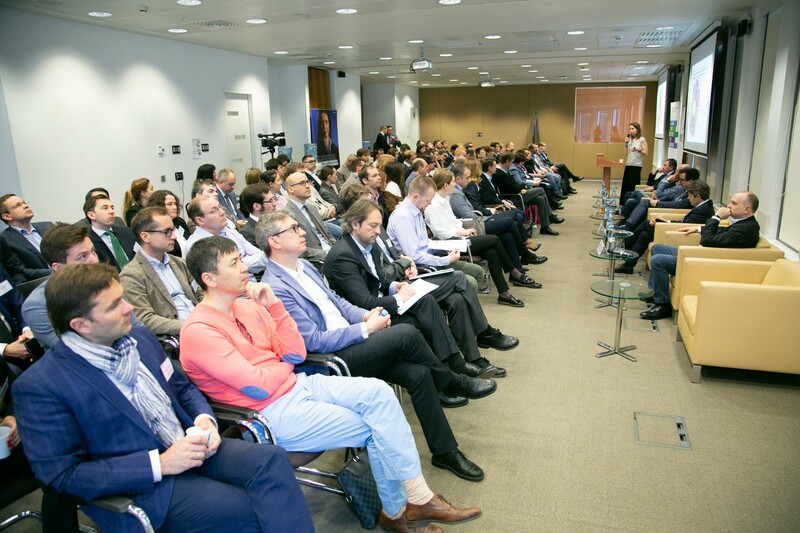 The event was divided into two parts – a presentation made by two PwC experts, Anna Modyanova and Maria Grishina, and a four-person panel discussion with Andrey Ivanov, partner at Leon Family Office, Kirill Nikolaev, one of the founders of NICA Multi Family Office, Igor Ryabov, Head of Private Banking Department at UniCredit Bank, and Anatoly Crachilov, executive director at Goldman Sachs International. 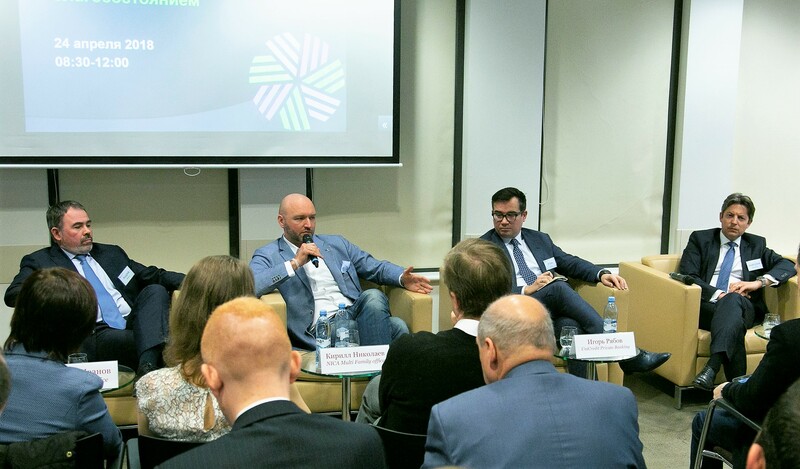 The panel discussion was moderated by Skolkovo Wealth Transformation Center’s deputy director, Andrey Shpak. Above: panel discussion presenters from left to right - Andrey Ivanov, Kirill Nikolaev, Igor Ryabov, and Anatoly Crachilov. The PwC presenters began the morning discussion by addressing important legal and tax issues that come into the picture when setting up family offices in Russia. Since family offices aren’t just regular private wealth management firms, their structure and operation may face a few legal and business obstacles. When taking into account the ownership of foreign assets and risks associated with it, a deep knowledge of legal policies is a must, Modyanova and Grishina explained during their talk. Following the PwC presentation, the panel discussion kicked off. Participants spoke about a variety of themes, including how to pick a right family office, entrance requirements, and the changing nature of the business due to new technological innovations. As the operation of family offices can cost hundreds of thousands of dollars per year, this is an exclusive practice with only families whose net worth is close to $USD 200-million being able to have one. According to the speakers, despite a high price tag that comes with the operation of a family office, their value extends beyond just investment management. For example, family offices can be responsible for coordinating and collecting information about the family’s wealth and investments. Furthermore, they often play the role of a financial educator to family members. A Q&A session followed the discussion with an audience eager to ask questions and share their thoughts on the issues covered. A full video of the event, like all other videos from our professional events, will be available to CFA Russia members.